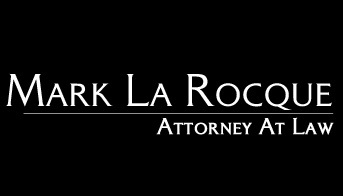 Attorney Mark La Rocque is a personal injury attorney for automobile accidents, truck accidents, neck and back injuries, motorcycle and bicycle accidents, wrongful death, dog bites, slip and fall accidents, and other types of personal injury cases. We serve all of California and are dedicated to providing our clients with high quality legal services. To prove our dedication to your case, there are no up-front attorney fees. We pay all your necessary litigation costs on your behalf, and receive a fee plus costs from monies collected on your behalf. All of our fees and the costs associated with pursuing the case are paid from proceeds of the settlement or verdict. Your rights are important and must be protected in personal injury cases. Don’t sign anything without contacting us first. It’s our job to ensure your rights are protected and you get what you deserve.